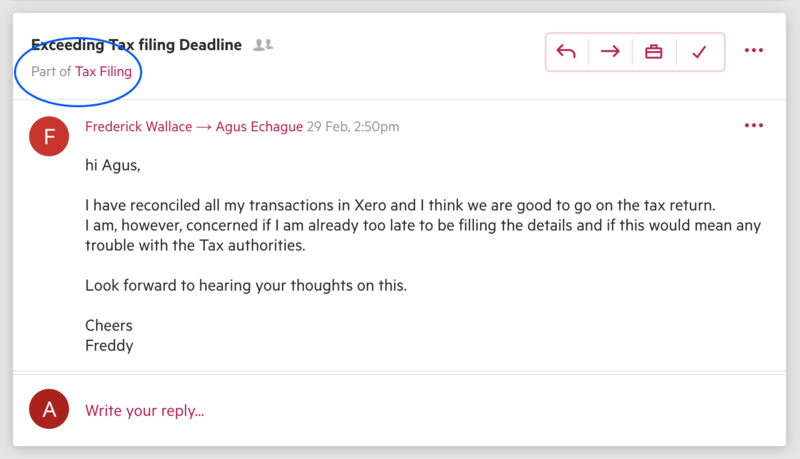 When you add an email to work, the thread from then onwards will automatically be added to the work timeline. 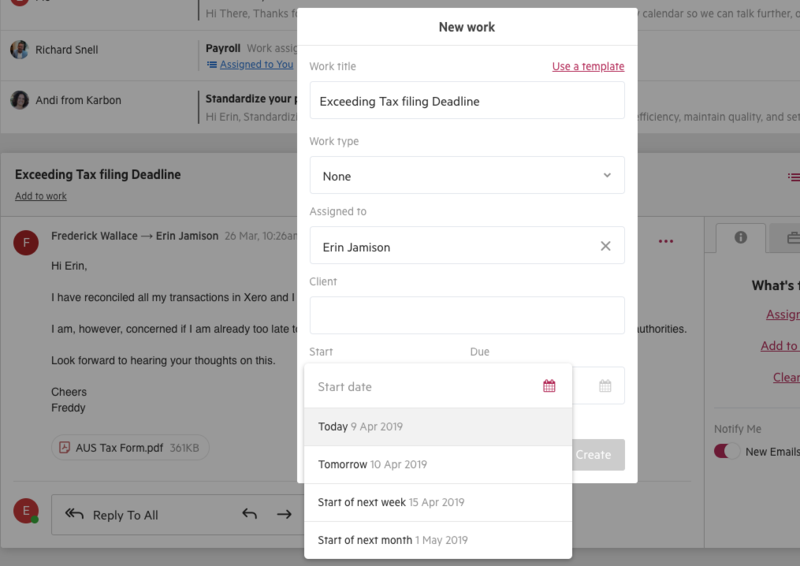 You can link an email to Work directly from an email by clicking "Add to work" within the email, the Work icon on the action bar or the email's options menu "...", selecting "Add to work" or "Create work"
From the modal, search for the name of the piece of work (or create new work) and assign the job to a client (you can assign it to a person or an organization). You can filter your search results by status to include only the work that is relevant. 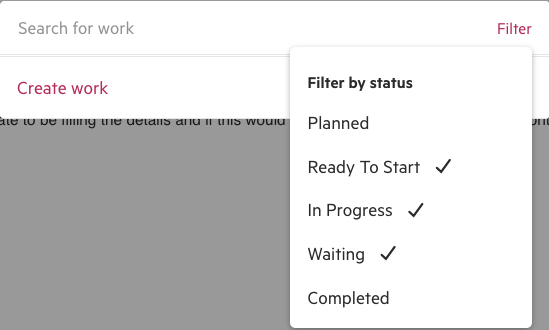 When creating new work, you can also decide to add more details, like assignee, due dates, and an assignment note. Once the email has been linked to the Work, the conversation will show as Part of Work. If your email relates to more than one job, it can be added to multiple work items. Simply follow the same steps listed above. There is no limit to the number of work items that an email can be added to.